I’ve just made notebook. This time is mine. Not for others. I made it with printed and doff laminated ivory paper to be the cover. And I just attached my blurry photograph. I wrote there 2 copies. I don’t know why, this idea just came up suddenly to my head. It means, from unreasonable to be reasonable. And the pages inside this notebook explain the chronology from unreasonable to be reasonable. Aditya, my friend from Bandung asked me to make him some photographs. He told me that he was inspired by my previous project of Diah. He told me long enough stories before asking me for this. The point is he wants to give these images for a girl he adored since years ago. And this girl is going to marry another boy. The images must be express what he has done. And here they are. Enjoy! Amalia gave me some pictures, and she wants me to make her notebook. I think that title is the best words for this post. 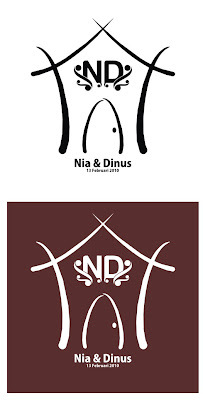 My friends, Nia & Dinus are going to face new life. I just asked to made little design for this mug. The merchandise is only for their family. And this is the results. Felicia Satya Christania wants me to make her a special notebook. She just mention that the notebook must be A5 in size, hardcover, and ring binding. Oh God, what I have to do with kind of order like this?? But I just thinking that I’ll make her notebook like this one. It contain samson paper A5 in size, hardcover with doff laminated printed art paper, and ring binding. A week ago Swandi and his friend named Ampok went to Bali Island with motorcycle. It was a mad holiday. They’re leaving me home alone for a week. They send Swandi’s motorcycle by train. The good news, they bring me a nice date. It was made of wood. It has an owl shape. It was a nice moment when you are accepting something from somewhere far away from place you live. And today, I got key-chain from Migomagi Brand from Bandung. Bandung is well known of its creativity. One of my friend live in Jakarta wants me to make gift and cards. Nadia wants me to make notebook for her friend named Shyerly. And cards for Shyerly and her mom. It was just nice when the notebook is already accepted by her today. FRIENDS. That was my friend’s acoustic band. Diwa, vocalist of this band, wants me to make his band’s logo. I think it was a nice acoustic band. And here it is the result. 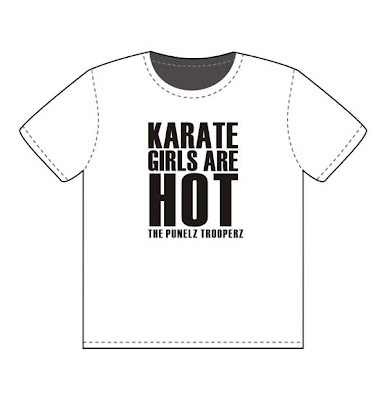 The Punelz Trooperz is name of my senior’s band in college. They’re always did a good performances. Tuki, the bass player of this band want me to make design for merchandise of the band. Here is the design and the result.